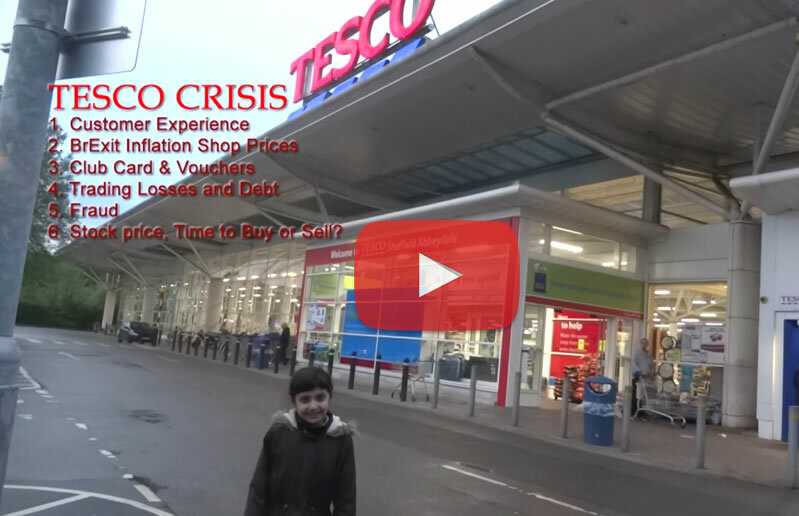 Tesco Crisis - Dangerous Finger Cutting Trolleys Customer Warning Alert! 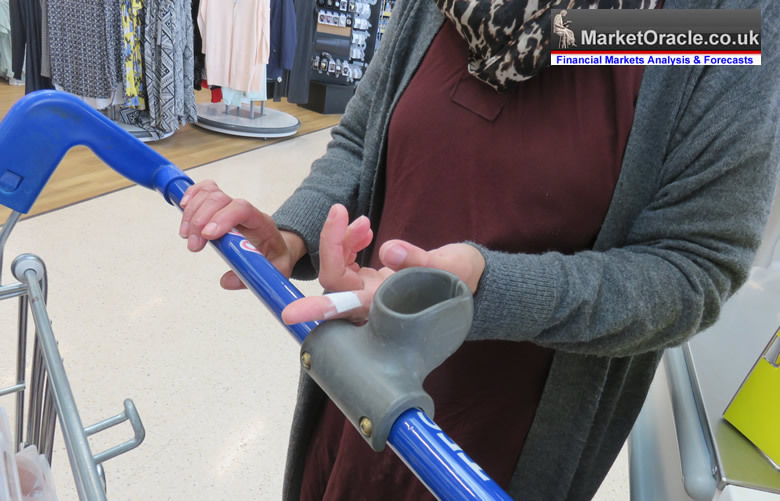 Tesco customers are not only having to watch out for sharp practices whilst shopping such as fake shelf prices that don't convert at the checkouts as the February 2017 BBC Investigation revealed, but also have to watch out for sharp pieces of metal sticking out from trolleys that can result in cut fingers as this unlucky customer experienced (Sheffield). Apparently there was a hole in the trolley bar with a small piece of metal sticking out that cut this customers finger. On reporting this to Tesco staff, a manager / senior staff member offered a plaster and then quickly exchanged the Trolley for one without a finger cutting hole. So what's happening? 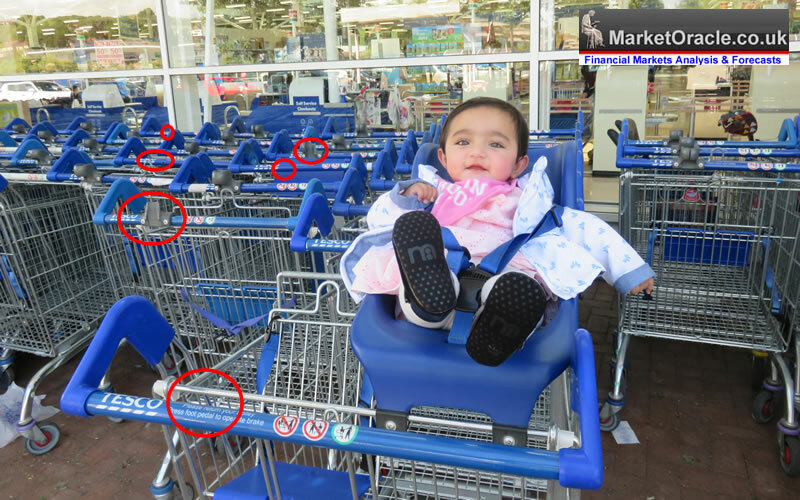 Why are finger cutting holes appearing in Tesco Trolleys? 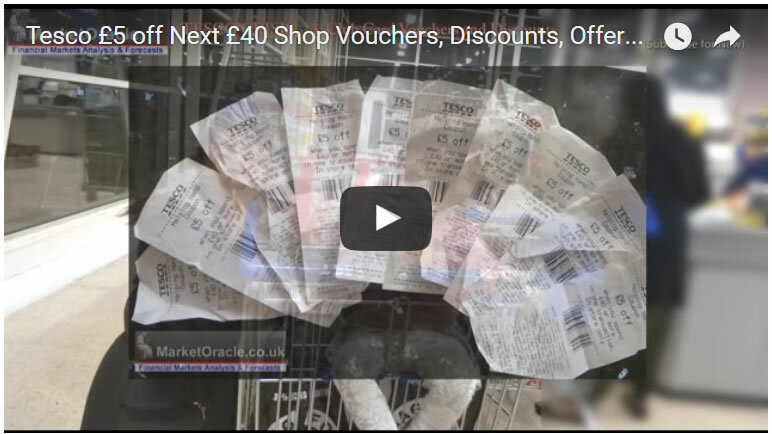 Well it seems the answer lies with the Scan as you Shop devices that allow clubcard customers to scan and bag items as they shop thus saving time at the checkouts. 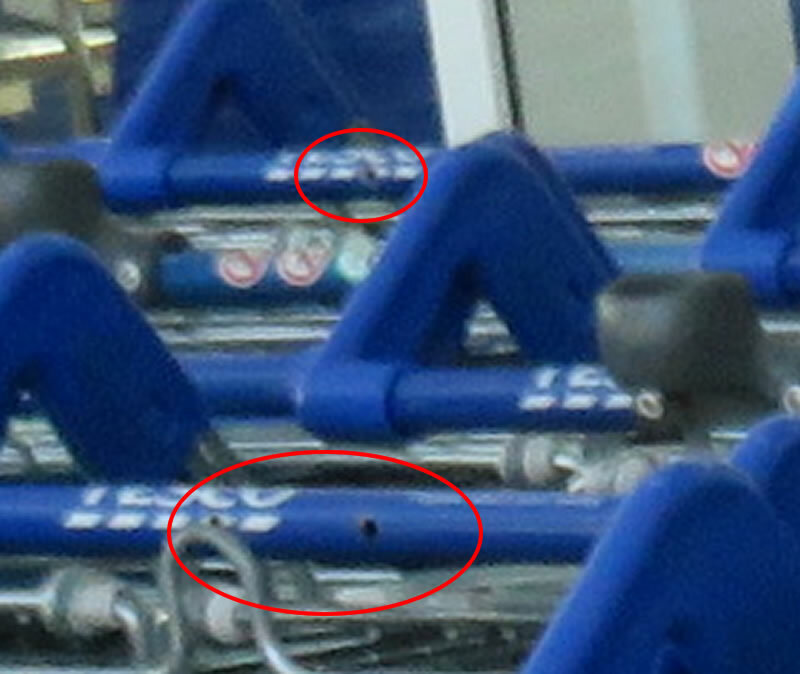 Specifically the rubber holders appear to degrade and break over time as this photo illustrates broken or missing scan and shop holders. 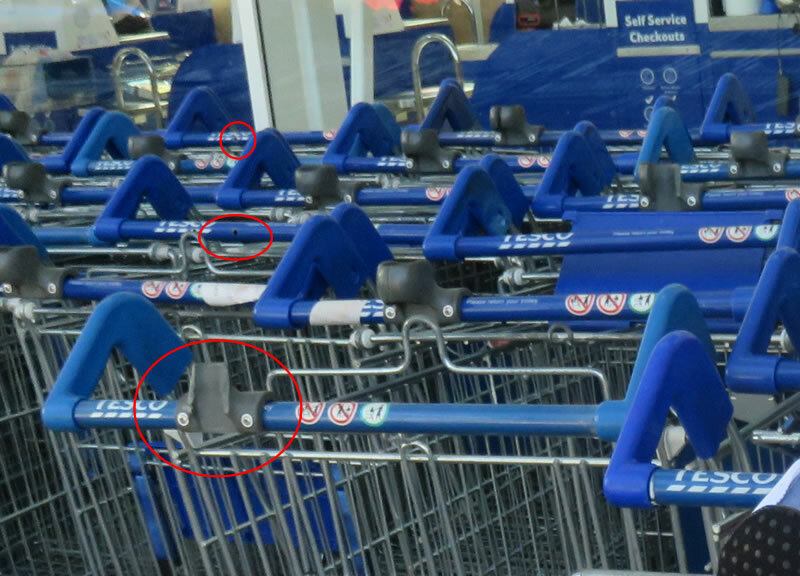 And once broken, scan as you shop holders are either removed or drop off the trolleys leaving a behind a couple of holes in the push bar used to attach the holders to the trolley which tend to have protruding pieces of sharp metal. From what we have seen the only fix Tesco has a adopted so far is to stick some insulation tape over the holes which does not last long, i.e. eventually comes off leaving a dangerous hole with sharp pieces of finger cutting metal jutting out. Once more zooming into the holes on the trolley bars that are causing customer cut fingers. 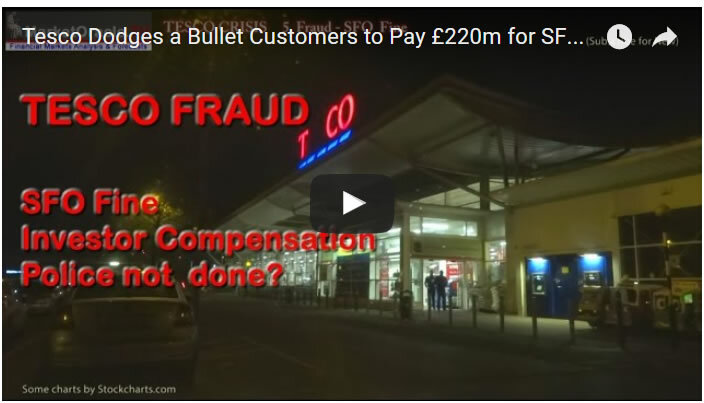 Whilst customers cutting their fingers on dangerous Tesco trolleys is clearly the retailers fault. However customers should be careful of complaining too vigorously less store staff add the customer to one of a myriad of emerging corporate facial recognition systems plugged into their CCTV systems such as Face Watch, which have been adopted by most major retailers over the past few years and which immediately flag customers entering any retailer as persons of interest, a big data big brother spying on customers development that has insidious overtones in terms of privacy and the personal security of shoppers which I will cover in-depth in a separate analysis. 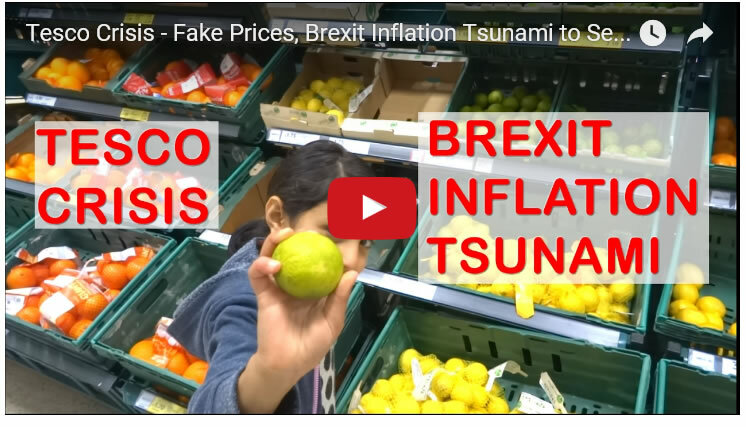 At the end of the day, trolleys that cut customer fingers are indicative of a retailer that has been under intense pressure during the past 3 years due to a myriad of events such as the accounting fraud and fake shelf prices that has seen a collapse in Tesco's revenues and left profits all but wiped out, and which now faces the added pressures from the Brexit Inflation Tsunami resulting in a breakdown of systems such as Trolley maintenance. 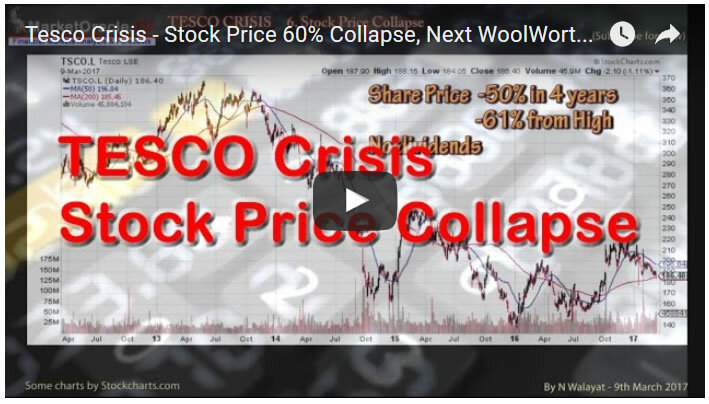 Find out in my latest video in the Tesco Crisis series of what happened to the great Tesco discount offers and what it means for future prospects for Britain's largest retailer. Ensure you are subscribed to my always free newsletter for my latest analysis and to our youtube channel.